Nurah Speaks is a weekly podcast that tugs at the soul and consciousness of the black community. Nurah Speaks listeners will hear unique perspectives on topics such as education, youth empowerment, women's impact, community engagement, youth violence prevention and more. If you would like to engage with the Nurah Speaks podcast, submit your listener questions to info@NurahSpeaks.com. 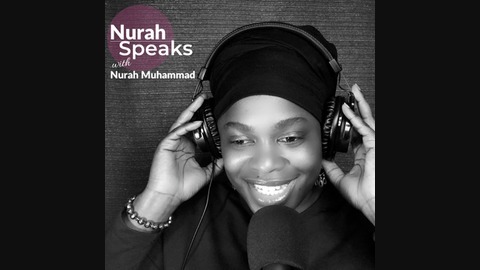 Listeners can also learn more about Nurah by visiting her website: NurahSpeaks.com and reading her blog: http://nurahmuhammad.com/blog.html Nurah Speaks can be followed on Facebook at: https://www.facebook.com/NurahSpeaksPodcast and on Instagram and Twitter @NurahSpeaksPodcast. To bring Nurah to speak at your next event, email info@NurahMuhammad.com. Remember, don’t just Join the Movement, Be the Movement! Since it is ‘National Take Your Daughters and Sons to Work Day’, I have brought my two sons onto the podcast to hear their thoughts on life. This week’s episode, Episode 70, is part one of a two-part series and features my son, Haidar Muhammad. Haidar shares his thoughts on fear, leadership, 'Dad Talks' and being reared in a two parent household plus so much more. He is a member of Camden New Jersey’s Youth Leadership and Readiness Program, Camden Men’s Track and Field Team and a junior at Muhammad’s University of Islam 20. This was definitely an interesting episode having Haidar speak on behalf of his generation and contribute his insights to the Nurah Speaks audience. If you would like to engage with the Nurah Speaks podcast, submit your listener questions to info@NurahSpeaks.com. Listeners can also learn more about Nurah by visiting her website: NurahSpeaks.com or reading her blog by clicking this link. 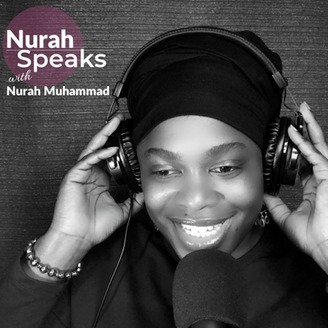 Follow Nurah Speaks @NurahSpeaksPodcast on Facebook, Twitter and Instagram. To bring Nurah as a speaker at your next event, email info@NurahSpeaks.com Remember, don’t just Join the Movement, Be the Movement!